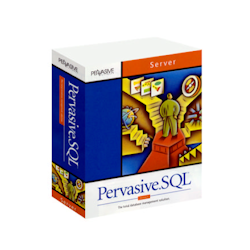 Pervasive I*Net Data Server is a special add-on module designed for Pervasive.SQL 7 to allow native, Btrieve-level applications to access a Pervasive database across the Internet, with NO modification whatsoever. The PIDS server creates an application-level gateway to provide access to the Btrieve database from both DOS and Windows applications. PIDS does NOT work with Pervasive.SQL V8 or newer.